Today’s turbulent environment of volatility, uncertainty, complexity and ambiguity means new challenges for government managers and policymakers. There are ways to cope with them. Suppose you’re a state legislator. You’re about to vote on a bill that would impose significant regulations on hydraulic fracturing, the controversial process for extracting natural gas from shale rock whose use has skyrocketed in the past decade. Depending on your perspective, “fracking” is providing us with a clean, inexpensive energy source or it is a major health threat that poisons the air and water around drilling sites. Proponents point to lower energy costs and lower greenhouse-gas emissions. Opponents cite more than 160 cases of drinking-water contamination near fracking sites. Do you view fracking as a blessing that reduces our reliance on polluting fuels while it produces jobs? Or are you more focused on its health and safety risks? It’s possible that many of the questions raised by fracking will be answered in the coming years. But you have to vote today. What’s your decision? The fracking issue illustrates the dilemmas of leading in what some call a “VUCA” environment. The term VUCA — for volatility, uncertainty, complexity and ambiguity — was coined by staff at the Army War College in the late 1990s to describe the challenges posed by our increasingly turbulent world. Volatility has to do with the nature, speed and magnitude of change. Fracking is a great example. In 2000, just 1 percent of U.S. natural gas came from shale; today that figure is over 25 percent and rising rapidly. Uncertainty relates to the unpredictability of issues and events. Information about the past and present are less and less useful in anticipating the future, making it extremely difficult for decision-makers to forecast and allocate resources effectively. Scientists can’t predict the long-term impacts that fracking will have on local environments. Complexity, the multiple and difficult-to-understand causes of problems, poses another challenge. Some scientists note the high level of carbon dioxide around fracking sites due to the heavy equipment used, while others point out that carbon emissions in the United States are at a 20-year low because of a major switch from coal use to natural gas from fracking. Ambiguity adds to the other three factors. Ambiguity makes it difficult to understand the meaning of fast-moving, unclear and complex events. Does fracking represent an important “bridge” source of fuel as we develop renewable energy sources or is it a risky short-term fix that poisons groundwater and diverts resources from our search for long-term energy solutions? In thinking about fracking (or immigration reform, or the growing gap between rich and poor, or a host of other complex issues), your decision is clouded by risks, uncertainties and a lack of time to sort them out. What to do? • Continually scan and learn. VUCA environments require that we learn from big-picture thinkers from different disciplines and industries. And such learning can reduce the “U” in VUCA — uncertainty. • “Get up on the balcony.” This notion, from the book Leadership on the Line by Martin Linsky and Ronald A. Heifetz, reminds us to periodically separate ourselves from daily operations to get a broader perspective. Leaders can do this in a variety of ways, such as visiting other organizations, listening to customers, thinking from the perspective of their boss’s boss and practicing the art of “managing by wandering around” — listening carefully to staff. • “Be quick/don’t hurry.” This concept, from legendary UCLA basketball coach John Wooden, relates to the velocity aspect of VUCA. We have to quickly note potential threats and opportunities in the environment. Whenever possible, however, we have to push back on the demands to take immediate action. We need time to separate the “signal” (meaningful factors) from the “noise” (the data points that aren’t related to the core issue). • Be agile, and find others who are agile. If there is one common thread in the growing literature on VUCA leadership, it’s the need to be very agile and to create an environment that rewards agility and flexibility in others. • “Always keep the main thing the main thing.” Jim Barksdale, the former CEO of Netscape, made this his mantra. While it’s important to continually innovate and be agile, Barksdale emphasized the critical importance of preserving your organization’s “main thing” — its core values and critical capabilities. 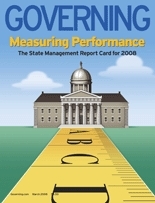 At the U.S. Government Accountability Office, a core value is politically neutral competence. At 3M, continual innovation is a core capability. Such organizations protect their main thing at all costs. We used to say that “the only constant is change.” Now we say that “the only thing to expect is the unexpected.” Either way, we’re living in a VUCA world.